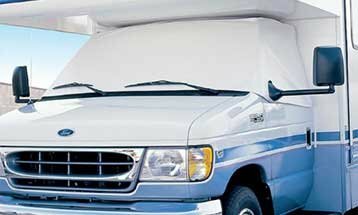 An RV Windshield Cover is one of your best ways to help reduce the temperature of your RV interior, saving you money on air conditioning. They also add privacy and security. UV rays don’t just heat up your RV interior, it also causes fading and cracking of your dash and seats. 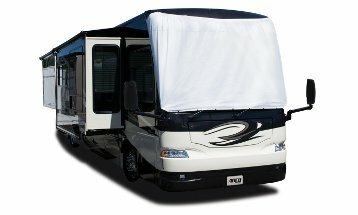 Get an ADCO heavy duty vinyl windshield cover for your Class A or Class C motorhome. They feature easy on/off magnetic fasteners with anti-theft tabs making installation easy. Select your model and year below to get started!